Structural batteries, structures which are also their own energy storage devices, are being looked at with increasing frequency. Your editor has long been a proponent of integrating aircraft structures and the means of generating, storing and releasing energy – something he calls “the Grand Unified Airplane.” Joe Faust, a hang glider pioneer and designer of energy-gathering kites, put the idea of including batteries in an airplane’s structure into your editor’s mind. This video from the 1970’s shows Joe was not only athletic and adventurous – he was clean. His Wikipedia page is even more fascinating. Following Joe Faust’s lead, Case Western professor Vikas Prakash has demonstrated the potential or structural energy storage at model size. In what was described as an “otherwise unremarkable” craft, Prakash inserted “structural battery” components inside the six-foot wingspan on his unmanned aerial vehicle (UAV). Pre- insertion, the craft had been able to fly for 91 minutes before the batteries died. After the structural insertion, it managed 171 minutes without a recharge. * The other immediate benefits of such integration include having more fuselage space for larger payloads and a better load distribution in the wings themselves – making for a stronger airframe. 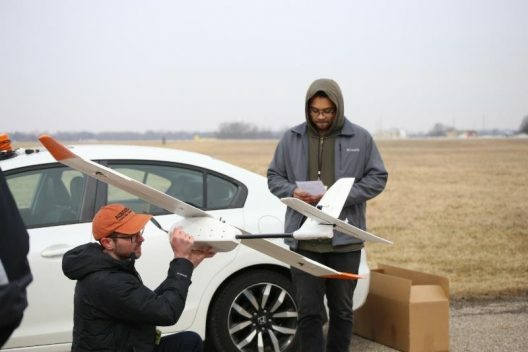 Case Western’s releases don’t mention battery types or how they are incorporated as part of the structure, but if weight remains equal, the enhanced flight duration is a solid achievement. 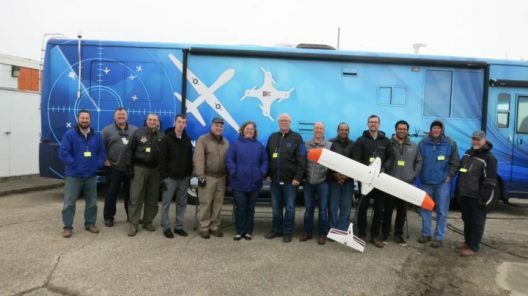 The small drone will carry cameras for surveillance, but scaling the basic design up would eventually enable carrying larger cargo and even passengers. Dr. Prakash foresees regional electric jets able to carry passengers and cargo and compete in terms of speed and distance with their fuel-burning competition. His latest work is related to the NASA project conceptually and is funded by the Partnership for Research in Energy Storage and Integration for Defense and Space Exploration (PRESIDES) program. That partnership is sponsored by the Ohio Federal Research Network (OFRN) and managed by the Great Lakes Energy Institute at Case Western Reserve. The two-year, $450,000 project, officially known as “Hi-Performance Multifunctional Structural Energy Storage,” is one of 22 OFRN applied-research projects in the state, all of which emphasize collaboration among research universities, government and private companies.